There is V.I.P., and then there is Quintessentially One V.I.P. 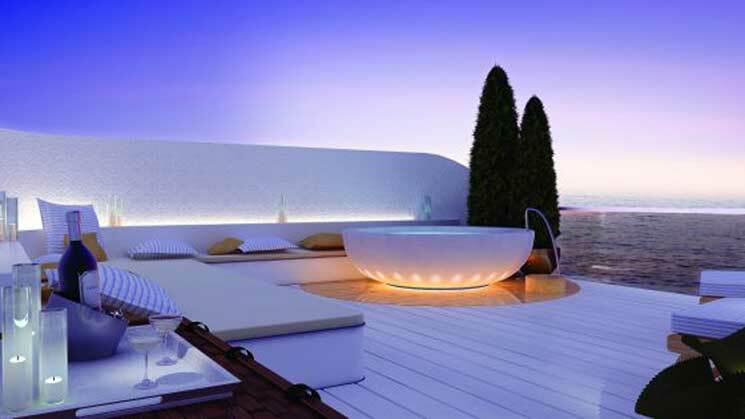 There has been much talk of Ibiza’s increase in the V.I.P. market, and most of it negative – but that’s probably because those indulging in V.I.P. are pleasuring themselves in ways more satisfying than a facebook grouching session. However the announcement of Quintessentially One’s inclusion of Ibiza on its inaugural voyage in 2019 gives us a timely reminder that for some V.I.P. means more than a velvet rope, some moody under-lighting and a price hike. “Imagine a world where the possibilities are endless, where every day is new and no night the same. 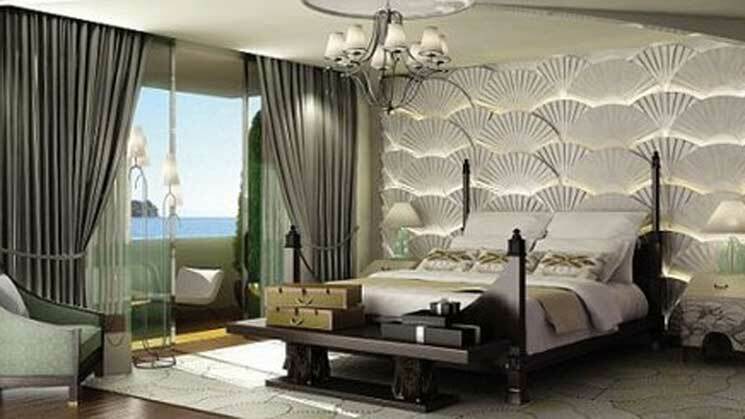 Imagine a place where luxury is a rule not an exception. 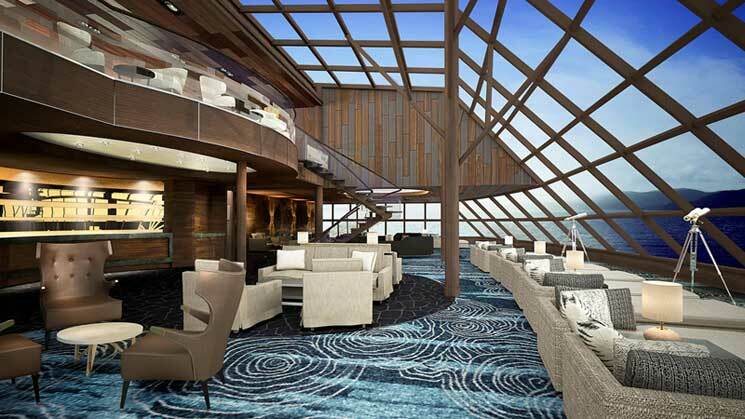 Imagine a never-ending voyage where the wild air invites you to discover the pleasures of life anew. Discover a cornucopia of delights for your delectation. 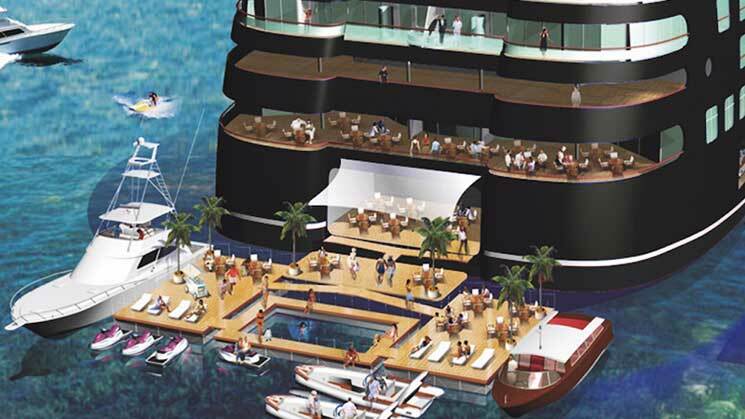 Welcome to a golden age, welcome to Quintessentially One – the world’s finest floating private club”. If you do feel you have outgrown Ibiza’s V.I.P. and are ready for an upgrade, to join Quintessentially One’s passenger manifest in 2019, you’ll first need to join Quintessentially, the exclusive concierge company. 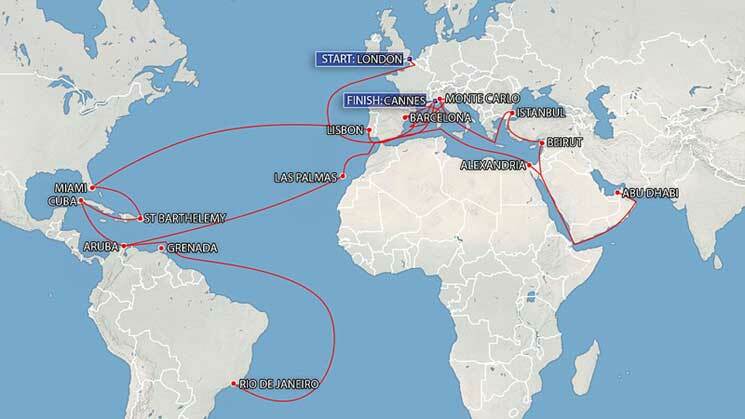 Naturally they don’t publish rates, but Travel Weekly’s luxury division say membership starts from £12,000 per annum, however that does not grant you access to sail, far from it. You might stand a better chance if you have their £45,000 per year elite membership, but ultimately it is ‘strictly by invitation only’ – so don’t call them, they might call you. And if they do? Well a berth in the 112 boutique hotel ‘on the lower decks’ starts at £2,000 a night. If you do not want the real money looking down on you, you’ll need to do a lot better than that. 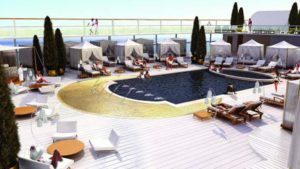 Five of the ship’s suites are reserved for the five Russian billionaires who contributed 8.5 million each to the project. 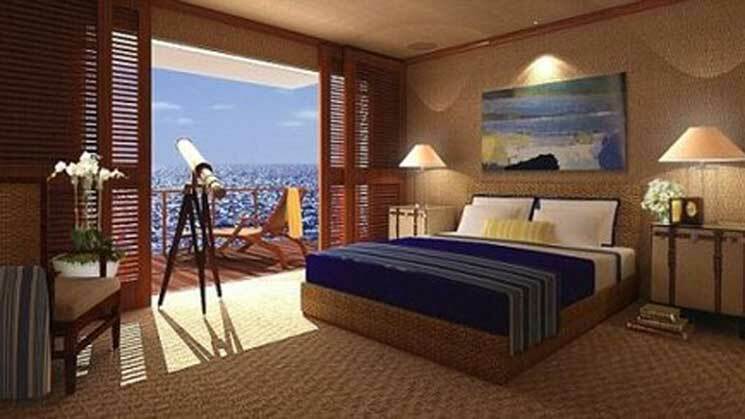 There are various options available in for triplex apartments and residential suites, any one of which is likely to have a greater volume than the accommodation shared by the entire crew of 490 – approx 3 crew to every passenger. And a price guide for the suites? Darling, if one has to ask, one cannot possibly afford it. Even if you can’t afford it, you might like to know. 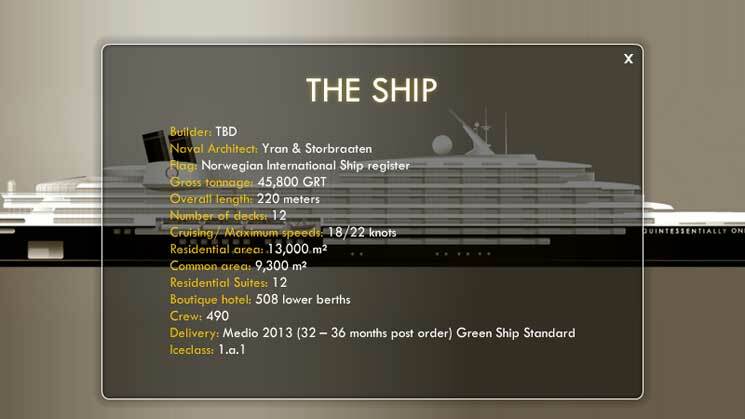 The 12-deck ship will also house a number of private residences, available for leaseholds to last for the life of the ship and with prices ranging from €8 million to €12 million. All V.I.Ps are equal. But some V.I.Ps are more equal than others. 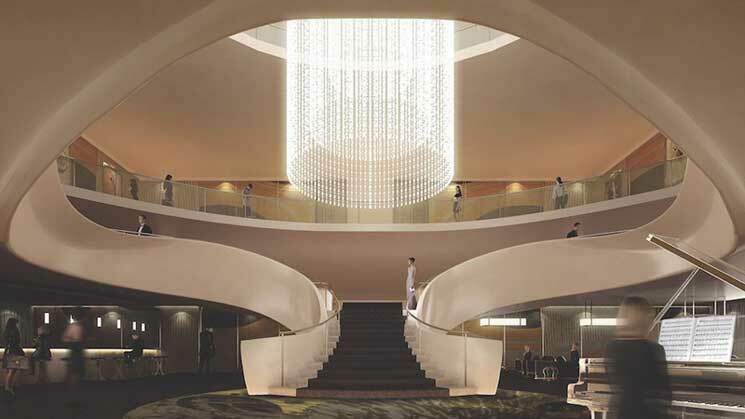 Owners of those abodes will also be provided with membership of Club One, “an elite club within a club” with benefits including a private restaurant, private bar and complimentary beauty treatments. How one deals with taking a cruise of the world’s most luxurious cruise ship and then being told ‘this isn’t for the likes of you’, at the door of one of its restaurants we do not know. But we suspect humility unlikely. 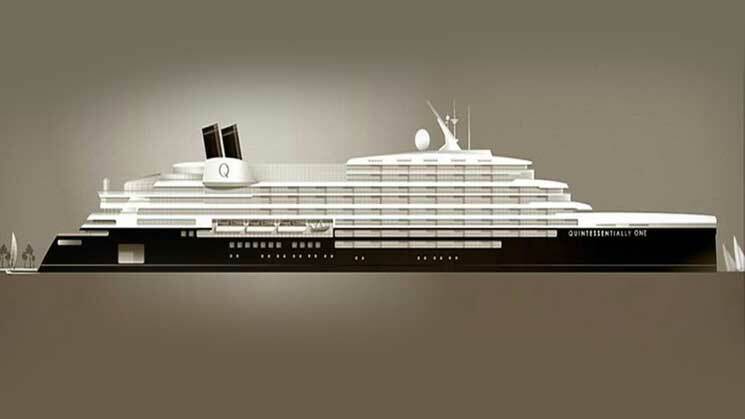 The £250 million super-yacht Quintessentially One will include Ibiza on its world tour. The vessel will also visit events such as the Monaco Grand Prix, Cannes Film Festival and Rio Festival.“This is a wonderful way to cater and meet the demands of Quintessentially’s global members when they all descend on the same high-profile events which currently don’t have enough supply,” explained Quintessentially’s co-founder, Aaron Simpson. 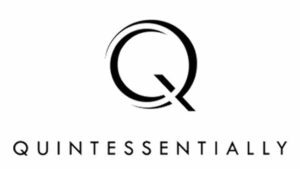 Quintessentially One is a new luxury lifestyle membership club on a 220m long super yacht which operates as a floating destination. 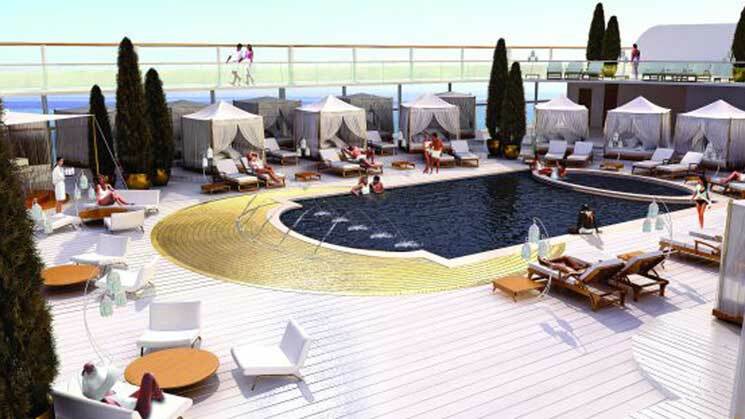 “It will be the world’s largest floating private membership club,” said Simpson. “Where the traditional cruise model is to go somewhere, dock and get off; we will dock and people will want to get on”, he added, confirming that when you are in the super-rich your jokes do not even have to resemble funny. 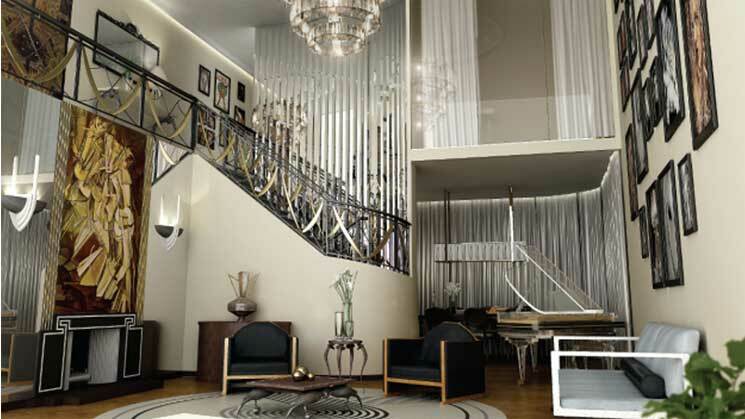 The jewels in its crown are 12 stunning triplex apartments located on the top decks. 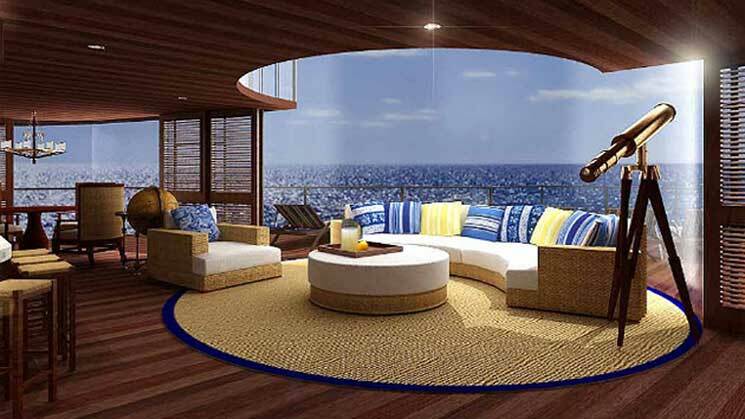 These are available for sale to those looking for the most exclusive on-board residences in the world. Quintessentially One, also features a boutique hotel with accommodation in suites measuring 40sqm, 60sqm and 100sqm – all operated and managed by Campbell Gray Hotels. Those requiring assisted pampering will have the Quintessence spas at hand, and the cuisine will be provided by The Wolseley and The Box with Manhattan providing the entertainment. 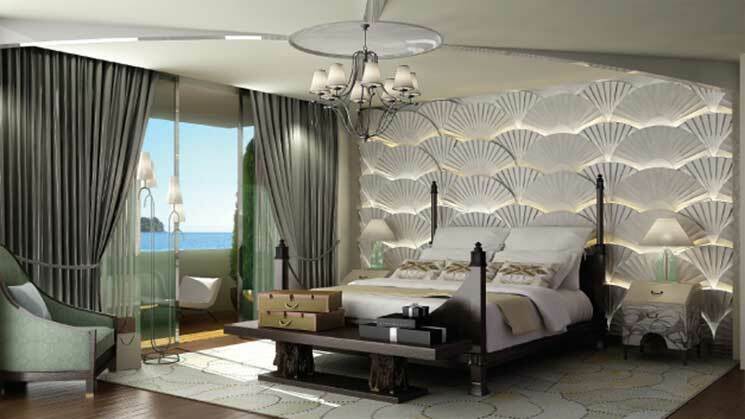 Further facilities include an oyster and champagne bar, a bespoke wine and cigar cellar and an underwater bar. According to The Telegraph, the top deck will be home to some “boisterous get-togethers, a rooftop beach club will host all-night sessions by visiting DJs”. They might be better avoiding Ibiza then. This is the last place in the world they would want to try an all night party, though you can see why they might be thinking otherwise. The top deck also has an open-air pool encircled by cabanas. Now that we can match. Bet you’re feeling pretty chavvy right now Ibiza? Quintessentially One the super-yacht is being built for Quintessentially the concierge service. Some call it a virtual private assistant service, and though you will be speaking to humans, it is true that the £12,000 per annum bottom tier of membership is restricted to pretty well a call centre, all be it a very proficient one. Most of us turn to the internet for our tickets, flights, accommodation etc. 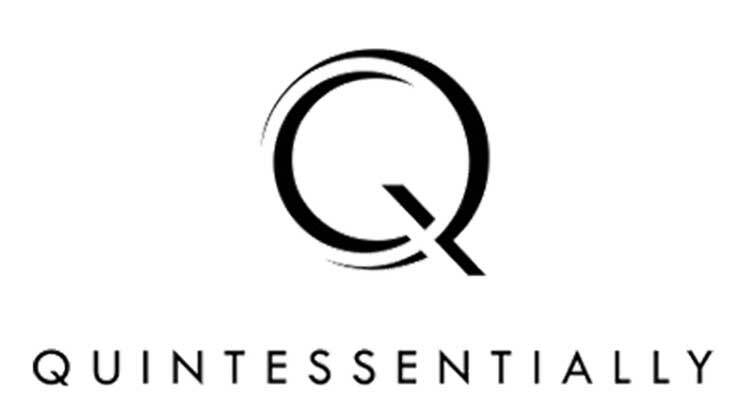 Quintessentially concierge does it for you. Tell them your dates, destination and inclusions, and forget about it. Sit back, relax, and do whatever it is people do who can afford £12,000 a year to avoid some internet searches. Just time to complete that hostile takeover before they call you back with your itinerary. 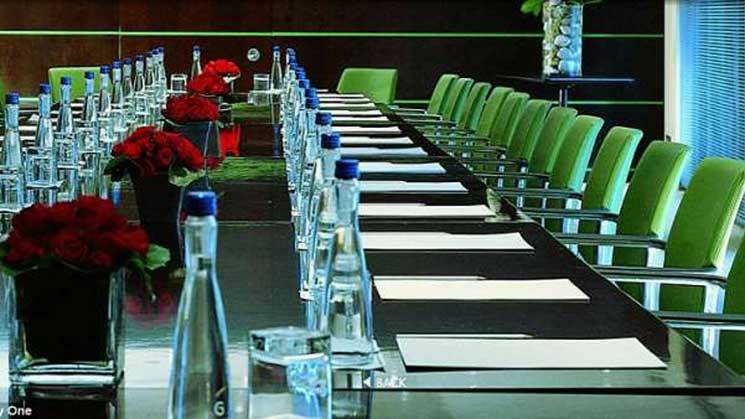 There are other perks, but as anyone who has stayed in top capital city hotels knows, the most valuable skill of a concierge is to ‘get you in’. Top tip. If you really, desperately need tickets for an event and are about to pay a ridiculous amount to a tout, speak to a concierge at a top hotel first. You might find a stay at the Savoy, the Ritz or another in their league can be obtained with entry to the event for less than the tout price. Unfortunately your £12,000 per annum will not get you that level of concierge contacts. “This is our reactive level of Membership and suits those who do not require access to limited availability events and travel infrequently” say the company of their entry tier, which even comes with the suitably mediocre name of ‘general membership’. What do he people at this top tier ask for? Here are some examples of client fulfilment from the concierge’s last report.